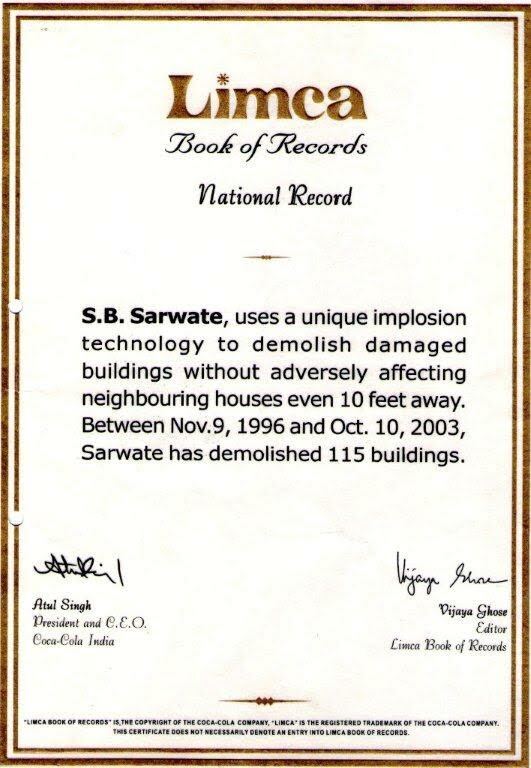 After Bhuj Earthquake demolition of damaged buildings was a challenge. A challenge well taken by our Mr. Sarvate. As situation demanded, he demolished 115 buildings. Limca book of Records noted this achievement. Restoration and Rebuilding fast and quick begins with timely, fast and accurate demolition by Uttam. Client Name: Rajashree Cements of Ultratech Cements. Location: Adityanagar, Malkhed Road, Gulbarga District, Karnataka State. 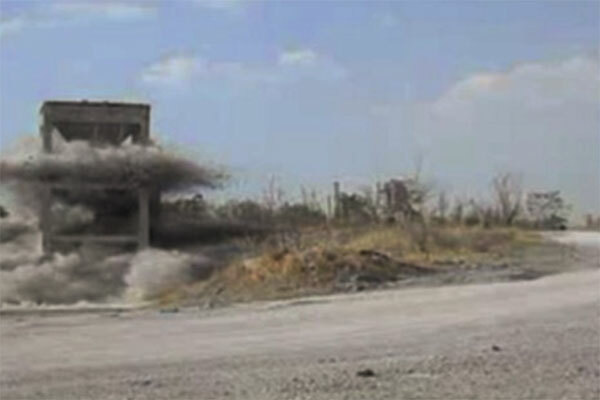 Implosion of a 25 meter tall heavily built crusher in a working mine next to a transfer supplying electricity to the entire Mineto mine to release around 20 Million tons of Limestone Reserves beneath the crusher. Uttam Started the Work on 27.04.2013 and demolished the structure on 28.04.2013 at around 04.30 pm at fraction of the cost of alternate technologies. The entire area was cleared of debris in 10 days. Uttam for the best and the most reliable and when you can’t take any chances. Leave us a message and we will get in touch with you. Uttam Blastech is a professionally managed organisation that has been offering end-to-end solutions on mining, infrastructure & construction, since 2000. Having delivered on complex assignments across verticals in mining and excavation, Uttam consistently delivers the most effective solutions to meet the customer needs within budget and time. Uttam Blastech Pvt. Ltd. - The Mining & Excavation Experts & Consultants in India. © 2019 Uttam Blastech Pvt. Ltd.. All rights reserved.